Asking a lady friend to stand beside you on the most important day of your life is a big deal. Not only are you calling her a lifelong friend, but you are asking her to commit a good amount of time and money into your special day. Show your best gal pals how much you appreciate them being there for your wedding by putting together a fun gift or two for them. While there is no formal etiquette around the nature of these gifts, it is nice to put together a little something special. 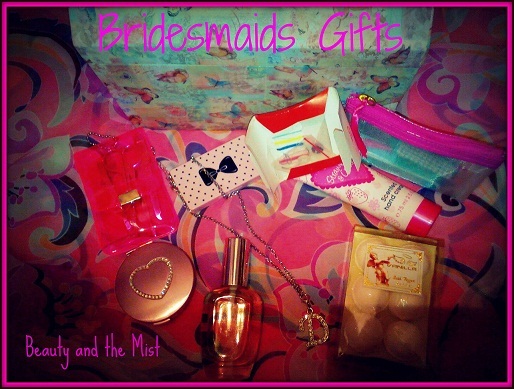 Use the following tips to put together something fun and meaningful for your bridesmaids. 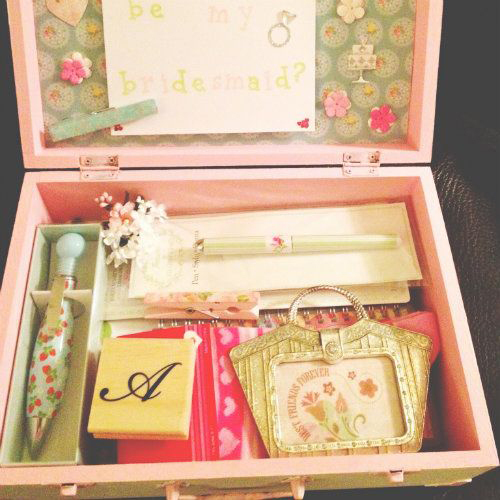 Begin by picking out something sentimental that your bridesmaids will keep forever. 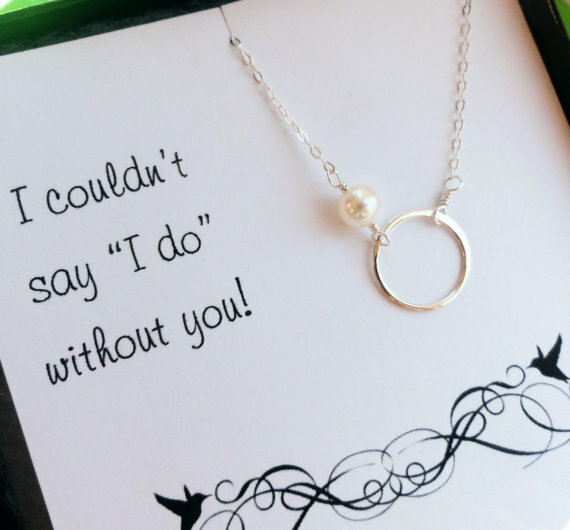 A great item here would be a piece of jewelry that she can wear on the day of your wedding. A necklace or bracelet is a great choice. You can choose something unique for each girl, switch up the colors, or give them all the same thing. Include a note with this item, thanking them for being involved in this special day. A great and cost effective addition to your bridesmaids’ gifts are some essentials to get her through the day of your wedding. Weddings make for long days and your bridesmaids have a ton of duties. Make them a survival kit that includes things like bobby pins, aspirin, breath mints, and hairspray. They will be so grateful for these little goodies during this important day. Tie everything together with some fun packaging. A great way to further personalize the gift is to put it in something that she can use over and over again. Consider getting a monogrammed tote or cosmetics bag. 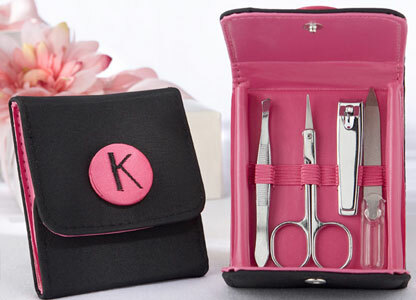 This extra touch will bring the gift together and thrill your bridesmaids to receive. You can find a number of monogrammed items at GirlyTwirly.com, including a whole section for extra bridesmaids gifts to include in your gift. You might include monogrammed koozies, flasks, or tumblers, for an extra bit of fun. No matter what you decide to give your bridesmaids as gifts, remember to let them know how important it is that they are standing beside you on this special day.